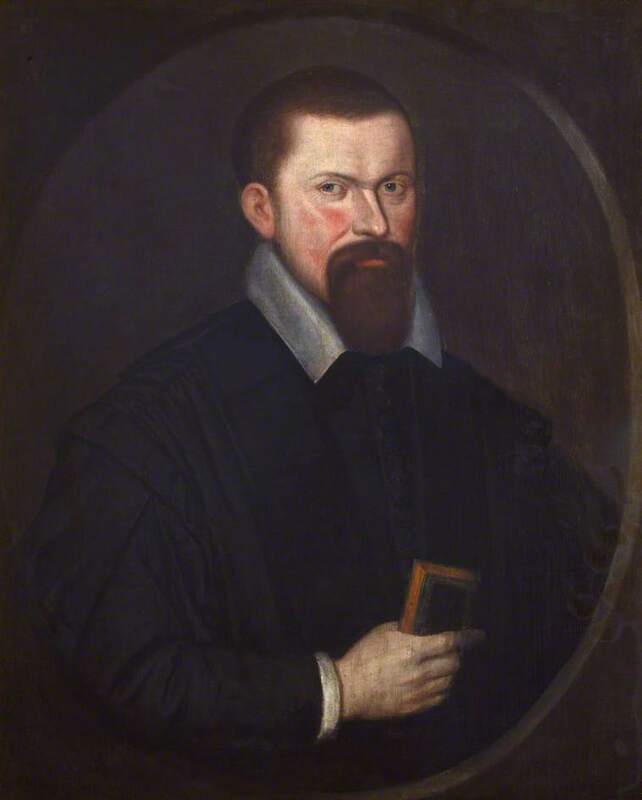 ROBERT ROLLOCK (1555–1599), the first Regent and Principal of the University of Edinburgh, is best known to present-day students of historical theology for the role he purportedly played in the development of Reformed federalism by virtue of the relatively unprecedented, mature treatment of a pre-Fall covenant of works discovered in his writings. Breno Macedo provides some interesting biographical information and discussion of Rollock’s doctrine of the Covenant of Works in a 2015 GPTS Conference lecture. Aaron Clay Denlinger and Noah Phillips translated Rollock’s short Treatise on Jusitification and published it in 2016 edition of the Mid-America Journal of Theology. A few points are worth noting. a pronouncement of God our Judge, delivered in keeping with his authority, by which, in keeping with his grace and according to sinful and believing man’s faith in Christ, he remits sins and imputes his own righteousness to man, to the end of man’s own eternal life as well as the glory of his grace and that righteousness of his that he freely imputes to man. [T]hose [benefits] which we have said do not inhere in man are perfected and summed up in this life itself. “We are already,” 1 John 3:2 says, “sons of God.” We have then already been predestined. We have then already been justified. But those benefits which we have said do inhere in man are not completely perfected in this life, even if they have begun. From these considerations it is surely clear that justification is perfected and summed up in this present life, but is not fully manifested in the same. But justification, someone will say, is a judicial sentence of life. And life is not perfected until Christ’s second coming. Is it not the case, therefore, that justification itself will not be perfected until Christ’s second coming? I respond that it is one thing for the judicial sentence of life to be complete, and another thing for life itself to be perfected. The sentence of life is surely complete already in this life, but life itself will not be perfected until Christ’s second coming. 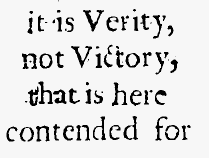 This argument, therefore, is fallacious and captious. Second, regarding union with Christ, Rollock acknowledges that at a certain point in time, Christ is applied to us so that we may be regenerated, after which we are justified. Thus we are united to Christ prior to faith, though this union is completed by our restipulation in faith. In regeneration (about which we also now speak), finally, God’s work consists in an even closer application of Christ to us, uniting us to him just as a body is joined to its head. With this work of God the Holy Spirit is once again joined. In this work of application God unites us, first of all, to Christ in his death, for the mortification of our own flesh. He further unites us to Christ in his resurrection from death, for the vivification of our spirits. Our own work of application in regeneration consists in laying hold—by that faith stirred up in us through the Holy Spirit—of that Christ who has been united to us in his death and in his life. In this twofold work of application—first of God, then of us—by which Christ is joined to us as a head to its body, our regeneration is seen. For by one and the same work Christ is united to us as our head and we are regenerated or renewed. Compare with Union with Christ is the New Covenant. The Trinity Foundation has started a podcast. Episode 2 is an interview with Stephen Cunha, the author of a critique of Richard Gaffin’s doctrine of justification titled The Emperor Has No Clothes. I recommend the book (and the podcast). (For more details, see here, here, and here). Cunha is very kind, clear, and level-headed. He explains how he was a member of Gaffin’s congregation, but left after learning more about Gaffin’s doctrine of justification. He wrote a paper explaining his reason for leaving, which eventually became the book. Some people might say ‘Well how can a lay person think that they can possibly challenge somebody who has a doctorate in theology from Westminster Seminary?” and my only answer to that would be that I think spiritual truths are spiritually discerned… you can have all the technical knowledge, all the training in the world, and be brilliant, but the spiritual truths are spiritually discerned. The Holy Spirit helps to illuminate Scripture so I think even the simplest believer who may not even have any academic degree at all or may not be super intellectual or sophisticated, can understand the deepest truths of Scripture. And I think in this area in the Westminster – I live in the Philadelphia area – and I’m not trying to slam Westminster Seminary here because I don’t think it’s exclusive to Westminster Seminary, but I think there is an attitude that I picked up from my time here that – it was quite explicit from some people, because we’re surrounded by Westminster students and professors in the area, and there’s this attitude that they are so intellectually smart – and many of them are, many of them are academically gifted – that we have to listen to everything that they say and you can’t question what they’re saying. [T]he reformed world, and even to some degree, the OPC – they do tend to be thought leaders. And I’m concerned that some of this teaching might eventually spill over into other evangelical communities. There is no “eventually” about it. John Piper explicitly references Gaffin to support his understanding of the final judgment. “Gaffin’s exegetical efforts in By Faith, Not by Sight and the careful work of many other scholars, and my own efforts to understand Scripture persuade me that this is the true biblical understanding of the function of works in the final judgment.” Piper wrote a troubling foreword to Tom Schreiner’s book Sola Fide. Schreiner is a leading figure in what is known as Progressive Covenantalism. He has co-written The Race Set Before Us: A Biblical Theology of Perseverance & Assurance with Ardel Canedy. Canedy has contributed a chapter to the volume “Progressive Covenantalism” titled “Covenantal Life with God from Eden to Holy City” in which he argues that “the formulation of covenant stipulations remains the same across the covenants… From Adam’s habitation of the Edenic garden with access to the tree of life to inheritance of our eternal habitation, God’s holy city…” He rejects the law/gospel distinction rooted in the Covenant of Works/Covenant of Grace distinction as “an exaggerated contrast.” He spends 4 pages recounting the “intramural” debate within the OPC/reformed world on the law/gospel antithesis (one of Cunha’s main criticisms of Gaffin is his rejection of this antithesis). So it has absolutely “spilled over into other evangelical communities” so much that it is apparently now a foundational pillar of Progressive Covenantalism (with a firm root at Southern Baptist Theological Seminary). So be a Berean. Take up your Bible, read, and ask the Holy Spirit to provide the spiritual illumination necessary to understand it. (Note: that illumination may come by means of what other believers – even those super intellectual academic ones – have written).